SPRING is bursting through! 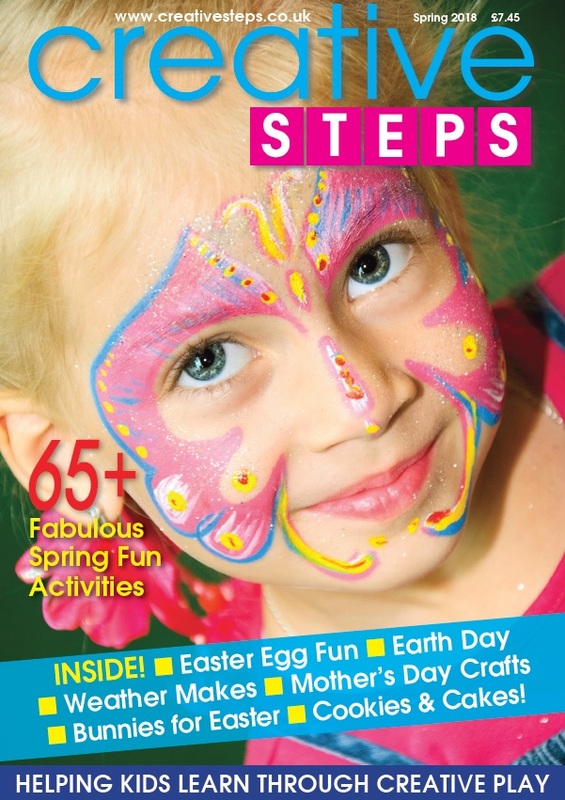 Yes, the fabulous Spring issue of Creative Steps is available now – in print and online. 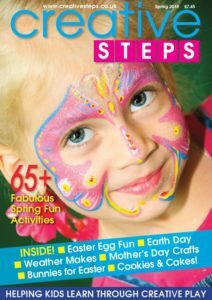 This issue includes more than 65 fun crafts and creative activities for you to enjoy with the kids in your care, including: Mother’s Day makes, Easter cards, gifts & decorations, World Earth Day projects, Weather exploration ideas, St Patrick’s Day, plus book reviews, printable templates & more! 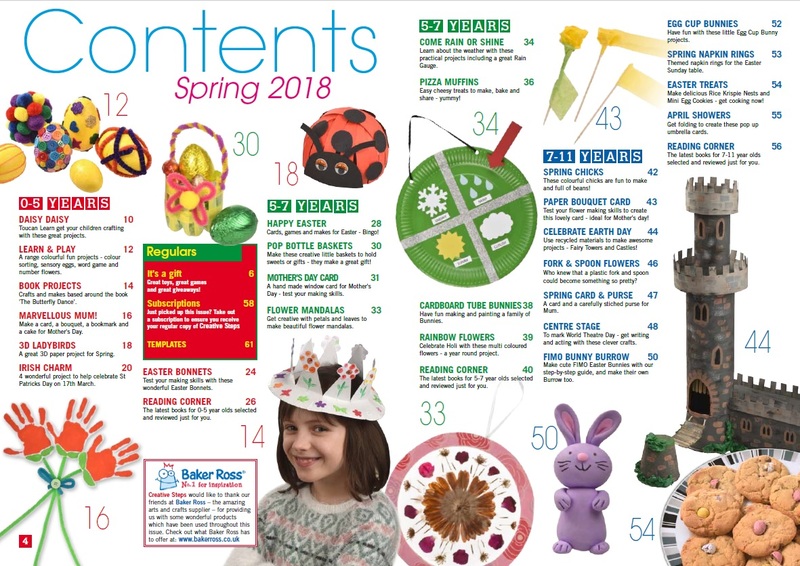 PLUS: Don’t miss the £750’s of fabulous toys, books and resources to be won in this issue in our free to enter competitions – including your chance to win fantastic Orchard Toys games ‘bundles’! Click the button below to purchase this issue, in print or as a full digital online edition. Or purchase an annual subscription to never miss out on inspiring ideas throughout the year. Helping kids learn through creative play!